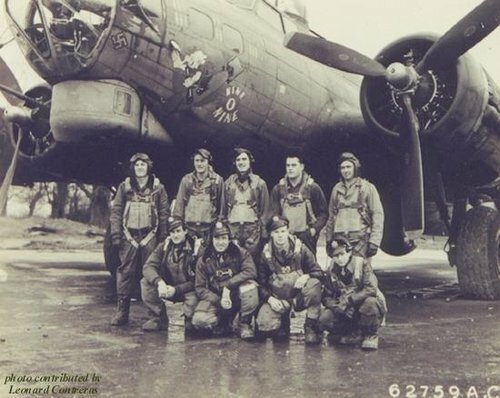 The "NINE-O-NINE", A Boeing B-17G Flying Fortress serial number 42-31909 of the 323rd Bomb Squadron, 91st Bomb Group completes its last mission on 25 April,1945. 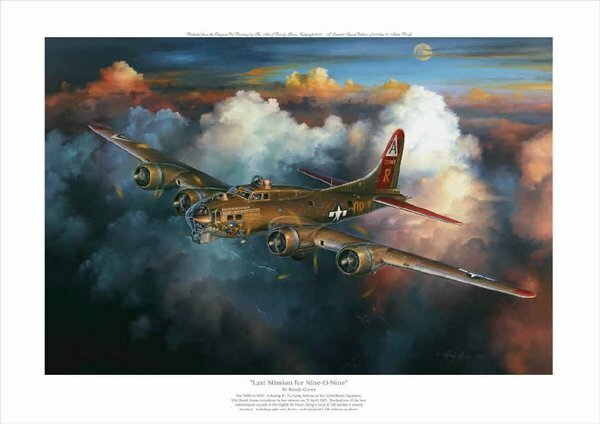 She had one of the best maintenance records in the Eighth Air Force, flying a total of 140 sorties in enemy territory - including eight over Berlin - and completed 126 without an abort. An enviable record for a Group which led the Eighth Air Force with the most aircraft listed as missing in action.